Many IP agreements contain a clause referring disputes about the subject matter to mediation and/or arbitration instead of reliance on court action. There is often, however, an exception permitting court action in the case of “urgent interlocutory and declaratory relief”. So, when one party to the agreement rushes off to Court to enforce some position instead of arbitration, the court case often becomes as much about whether the Court has jurisdiction or the action should be stayed while the parties go off to mediation and/or arbitration. Correspondingly, before you rush off to Court, it is important to know whether the expense will be wasted because you should have gone to mediation/arbitration. In a case concerning a dispute about the terms of a charter party (and not IP), the Victorian Court of Appeal has ruled that the word “urgent” in such a clause applies to both “interlocutory relief” and “declaratory relief” distributively. That is, a party cannot apply to the courts for a declaration, the declaration must “urgent”. Even if it were accepted that an interlocutory or interim declaration is not available in Australia, this would not, in our opinion, exclude the possibility of a declaration of rights in the course of interlocutory proceedings where the declaration finally determines an aspect of matters in dispute and does not operate only as a declaration for the interim.9 In our opinion a declaration of this type could sensibly be described as “urgent”. Apparently, whether or not the matter is urgent is to be determined objectively and the party seeking relief must have formed a reasonable opinion that the relief (ie., the declaration) was necessary for the protection of its rights. Delnorth had successfully opposed the grant of a standard patent to Dura-post for the latter’s flexible roadside posts (Patent App. No. ) on the grounds that it lacked inventive step. Dura-post appealed to the Federal Court. The Federal Court directed that the appeal be allowed and Dura-post’s application proceed to grant. The practice point here is that the parties were able to go along to Court armed with a letter from the Commissioner indicating she did not intend to appear on the appeal. Contrast the (interlocutory) outcome in Sherman, where the Commissioner wished to fight on. How much to pay for a music download? The Canadian Federal Court of Appeal has ruled that no royalty is payable for downloads (should that be “streaming”?) of those 30 second previews of music. Apparently, it falls with the fair dealing provisions for “research”. The “1709” blog has the story. for single track downloads. There is a sliding scale for the track rates where an album, rather than a single track, is downloaded. As the price on iTunes is typically $1.69 per “song”, I guess the % rate will usually apply for single track downloads. (This is just what the composers get paid for the transmission and reproduction on the ‘buyer’s’ computer; not what the record companies or performers (will) get. The composers’ collecting societies, APRA and AMCOS, had started out trying to get 12% but, in the end, the monopolies and the monopsonistic buyer(s) wound up reaching agreement. Even the ACCC, after some twisting and turning seems to have gone along with the deal, perhaps in recognition of the fact that the Copyright Act specifically gives the Copyright Tribunal power to fix these rates. •	United Kingdom – 8%. •	United States – 9.1 cents. The rate in the United States is a fixed monetary rate. The vast majority of single track downloads in the United States at present are supplied at a price of 99 cents per download. Thus the monetary rate is equivalent to 9.1% of the sale price. Patent Baristas look at rule changes introduced by IP Australia to stop patent applicants circumventing the $100 surcharge for each claim in a patent in excess of 20 claims. Read on here with links to IP Australia’s announcement. Apparently, IP Australia plans that the new arrangements come into force on 1 August 2010. Wonder whether the CoreEconomy guys will be publishing articles about distorting the market for excessive claiming? Still, is it just me, or do Australian applications seem to have more claims in them than the US counterparts? E & J Gallo owns TM No 787765, BAREFOOT, for “wines” in class 33. It had acquired ownership of the trade mark by assignment in 2005 from a Mr Houlihan. The Full Federal Court found that Lion’s beer infringed Gallo’s trade mark as goods of the same description, but ordered the trade mark removed because it had not been used for the 3 year statutory period prescribed by s 92(4) – in this case between 7 May 2004 and 7 May 2007. Neither Gallo nor Mr Houlihan had ever sold, or specifically authorised the sale of, any wine under the BAREFOOT trade mark in Australia. If that were all, it would have been an end to the matter. However, there was a complication. Wine made by Mr Houlihan’s company, Barefoot Cellars, in California had actually found its way into Australia and been offered for sale. 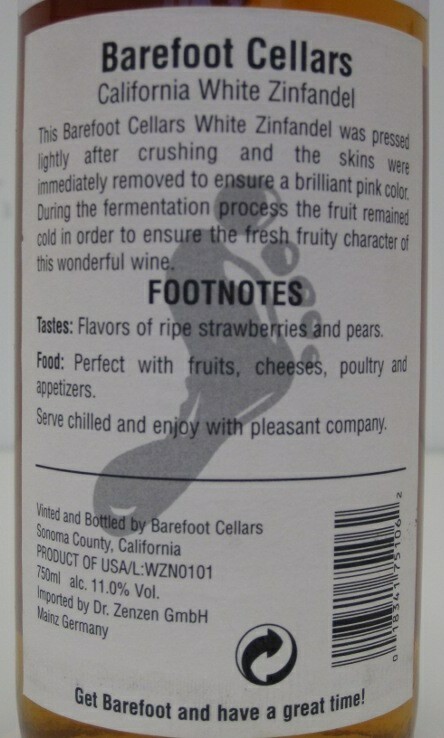 Barefoot Cellars had sold a shipment of 60 cases of its wine to a distributor in Germany in 2001. Some of the consignment to the German distributor was imported into Australia by a liquor wholesaler, Beach Avenue. In the 3 years relevant to the non-use claim, Beach Avenue imported 144 bottles of the wine; at least 41 of which were actually sold during the period (and a further 18 were given away). Lion Nathan argued, and the Full Federal Court had accepted, that there had been no use of the trade mark as a trade mark because neither of the trade mark owners had intended to project their goods into the Australian market. The High Court rejected this argument. 51 The capacity of a trade mark to distinguish a registered owner’s goods from those of others, as required by s 17, does not depend on whether the owner knowingly projects the goods into the Australian market. It depends on the goods being in the course of trade in Australia. Each occasion of trade in Australia, whilst goods sold under the trade mark remain in the course of trade, is a use for the purposes of the Trade Marks Act. A registered owner who has registered a trade mark under the provisions of the Trade Marks Act can be taken, in general terms, to have an intention to use that trade mark on goods in Australia. It is a commonplace of contemporary international trade that prior to consumption goods may be in the course of trade across national boundaries. “whilst a trade mark remains on goods, it functions as an indicator of the person who attached or authorised the initial use of the mark”. During the trading period, the trade mark functions as an indicator of the origin of the goods, irrespective of the location of the first sale. That is, what is required is that (1) there be some sign which functions as a trade mark – a badge of origin – and (2) the sign be used in the course of trade in Australia. The sale in England by the English manufacturer to retailers for resale in Estex was sufficient for this, but awareness that the retail markets in Australia was the intended destination was not necessary. As the High Court’s references to Champagne Heidsieck v Buxton (a case, if not exactly dear to my heart, certainly engraved on it!) show, any other conclusion would be inconsistent with the cases establishing that parallel imports do not infringe trade marks and which have been enshrined in s 123. In context, therefore, the last sentence of , noting that the goods had been sold to the German trader without any limitation on resale should not be determinative. 65 A commercial quantity of wine, some 144 bottles, was imported and offered for sale under the registered trade mark by Beach Avenue during the statutory period. Some 41 sales during that time were proven by reference to invoices and tax paid. There was no suggestion in the evidence that the offering for sale and selling either overseas or in Australia was for any purpose other than making profit and establishing goodwill in the registered trade mark. It was not contended that the use was fictitious or colourable. In all the circumstances the use was genuine and sufficient to establish use in good faith for the purposes of Lion Nathan’s application for removal. That is, the High Court adopted a qualitative rather than quantitative approach. It is also worth noting the careful reservation that it was not called upon to decide whether or not a single use would suffice. What trade mark was used? 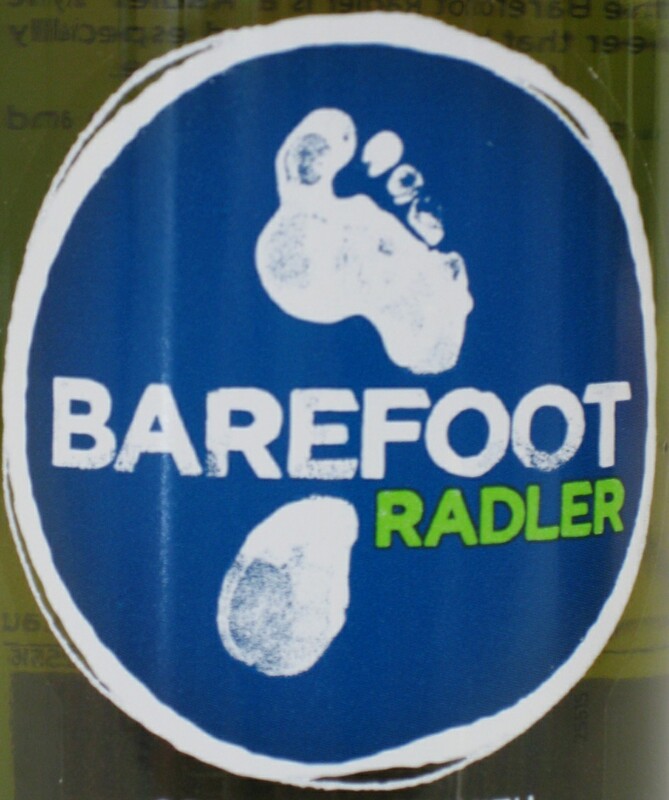 Lion’s next attack argued that use of BAREFOOT with a representation of a bare footprint on the wine bottle label was not use of the trade mark as registered – BAREFOOT. The High Court did not reject this argument on the grounds that there was use of BAREFOOT alone. Rather, at  it distinguished the Colorado case (a case from which special leave was refused) on the grounds that the word COLORADO had no inherent capacity to distinguish because of its geographical significance and so the mountain peak device used with the word element was “not a mere descriptor but a distinguishing feature”. In this case, however, at  the device element was an addition which did not substantially affect the trade mark’s identity: consumers were likely to identify the mark by reference to the word, the device merely illustrated the word and, except in the case of honest concurrent use, the device alone would not be registrable in the face of the word mark. Lion’s last attack, arguing that Barefoot Cellars was not an authorised user when it applied the trade mark to the wine, also failed. The potential problem for Gallo here was that neither Mr Houlihan nor anyone else involved in the production of the wine gave evidence about what quality control, if any, Mr Houlihan had exercised. There were 2 strands to this attack. The first strand was to contend that some assertions of quality control recorded in a consultancy agreement were not in fact statements of fact. This failed as a matter of interpretation of the document. In a separate concurring judgment, Heydon J explained that the consultancy agreement constituted a “business record” and the statements were therefore admissible as an exception to the hearsay rule. The second argument that there was no quality control by Mr Houlihan because he was only a joint principal in Barefoot Cellars and in addition a third person was the winemaker. This was not, however, sufficient to preclude the exercise of quality control by Mr Houlihan. Update: should have added links to report on Full Federal Court and first instance (here and here). The Full Federal Court’s finding that, notwithstanding the order to remove the trade mark for non-use, Lion still had to pay damages for infringement until the judgment. Whether or not Gallo’s negotiations with McWilliams Wines to introduce a BAREFOOT wine into Australia constituted use of the trade mark or warranted an exercise of discretion to leave the trade mark on the Register. The negotiations culminated in the grant of a licence to McWilliams and the sale of products under the trade mark in September 2007, some 4 months after the expiry of the relevant 3 year period. Whether beer and wine are goods of the same description. The Copyright Tribunal has ordered a very significant increase in the licence fees payable by fitness clubs for the use of recorded music. The old fee was 96.8c per person attending the class, capped at $2654 per year. The new fee will be $15 per class or $1 per attendee. This is just the fee payable to the record company, not the fee for the composition payable to APRA. Presumably it follows on the striking recalibration effected in the Hotels case. The seminars are free and if you are subject to the continuing education requirements of the Professional Standards Board, the Queensland, Victorian or NSW Bars or the Law Society of NSW garner you one “point”. Details and registration via here.